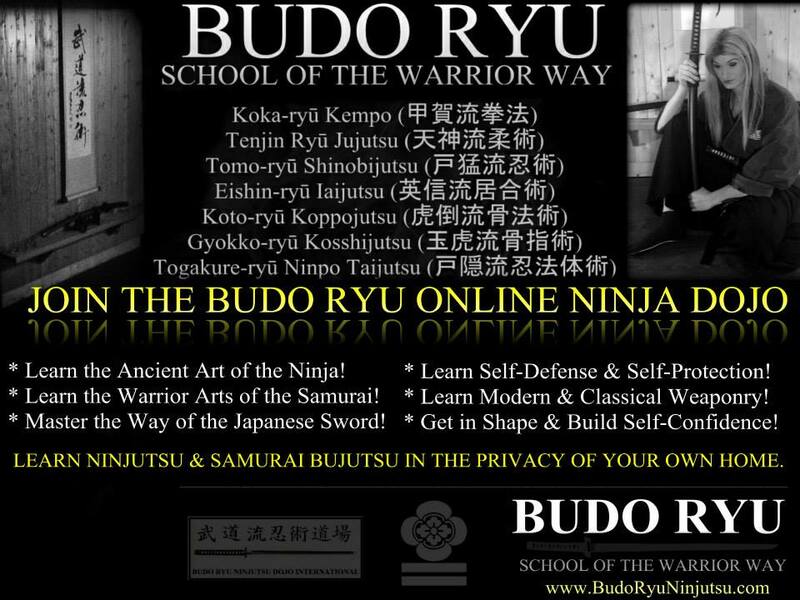 JOIN THE BUDO RYU ONLINE NINJA DOJO! Learn the Ancient Art of Ninjutsu in the privacy of your own home! * Learn the Ancient Art of the Ninja! * Learn the Warrior Arts of the Samurai! * Master the Way of the Japanese Sword! * Learn Self-Defense & Self-Protection! * Learn Modern & Classical Weaponry! * Get in Shape & Build Self-Confidence! (1) Want to train in Authentic Ninjutsu? (2) Want to train in Traditional Samurai Fighting Arts? (3) Want to train at a Dojo that is political free, no drama and only focused on training? Than train with the Budo Ryu! * Hombu Dojo: Kansas City, Ks! * 22 Schools World Wide! * Long Distance Training Available! * Have fun and get in shape! * Learn Classical Samurai Swordsmanship! * Learn Self-Defense & Self-Protection skills! I hope that you all understand the lesson, I wish you all the best in your journey of Budo. Thank you all for your support, take care and be safe. 2011 BUDO RYU DAIKOMYOUSAI 武道流大光明祭! DAIKOUMYOSAI (大光明祭) means; celebration of illumination from inside to the outside — The Budo Ryu holds and annual Daikomyosai every year. 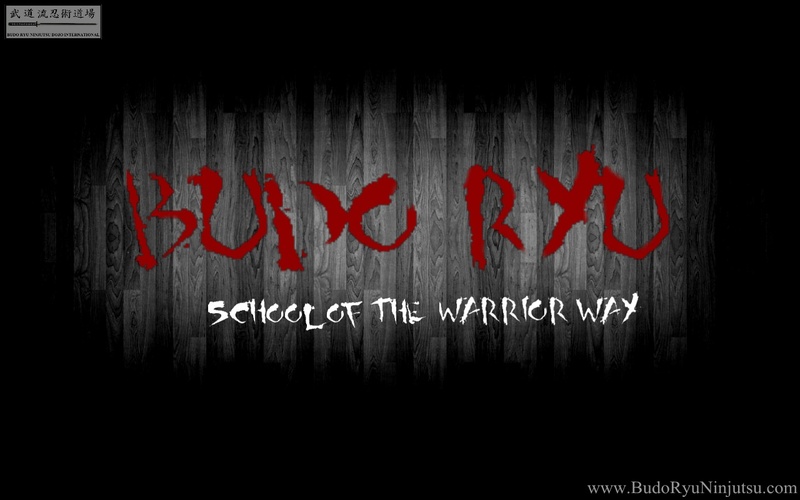 Training goes in depth within the 7 traditions of the Budo Ryu Ninjutsu Dojo! Direct teachings of the history of the arts, classical kata as well as the present applications, deeper understandings of these 7 warrior traditions that make up the Budo Ryu – School of the Warrior Way! Each of these ancient fighting arts has it own aspect to warfare. 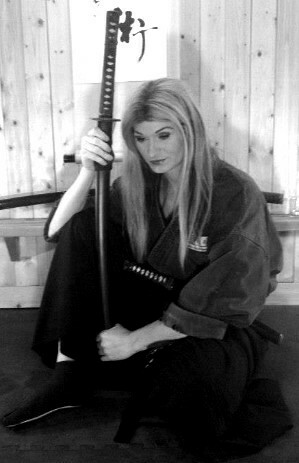 SOME of the Skills that a student will train in are: Seishinteki kyōyō (spiritual refinement) Taijutsu (unarmed combat), Kenjutsu (sword techniques), Bōjutsu (stick and staff techniques), Sōjutsu (spear techniques), Naginatajutsu (naginata techniques), Kusarigamajutsu (kusarigama techniques), Shurikenjutsu (throwing weapons techniques), Kayakujutsu (pyrotechnics), Hensōjutsu (disguise and impersonation), Shinobi-iri (stealth and entering methods), Bajutsu (horsemanship), Sui-ren (water training), Bōryaku (tactics), Chōhō (espionage), Intonjutsu (escaping and concealment), Tenmon (meteorology), Chi-mon (geography), Dakentaijutsu (striking body arts), Kosshijutsu (muscle tearing), Kyushojutsu (vital points), Jujutsu (grappling), Koppojutsu (bone breaking), Yonin, Inpo, Tonpo, Shinobi-iri, Ninjutsu (art of stealth).